More and more hobbyists are choosing to work with PVC. 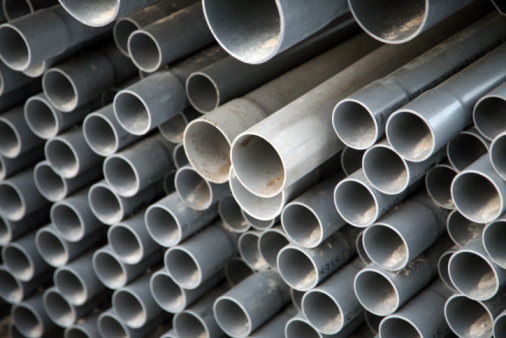 While PVC pipes and fittings are inexpensive and easy to work with, you may come across situations that require more than the straight pipes and fittings. Making a circle out of PVC is one of those situations. Bending the PVC into a circle makes a smoother circle than using PVC fittings to make the circle. 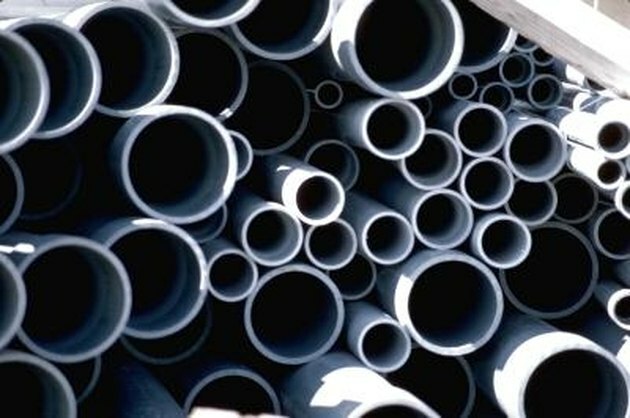 PVC can be bent into a variety of shapes with heat. Calculate the diameter of the circle the PVC will be bent to. The diameter is the distance from one side of the circle, straight through the center, to the other side of the circle. Lay the plywood sheet on a table or flat surface and use the compass to draw a circle on the plywood the same diameter of the circle the PVC will make. Mark the circle in intervals of 2 inches. Measure outward from the circle the diameter of the PVC pipe and draw an outer circle. Mark this circle in intervals of 2 inches. Place nails at all the marked locations. Hammer the nails 1/2 inch into the plywood. The nails will hold the PVC as it bends. Place an end cap on one end of the PVC pipe and fill the PVC pipe with sand. Pack the sand in tightly and cap the other end. Put on the gloves and turn on the heat gun. Set the heat gun so it is stationary and heat up the PVC. To heat the PVC, hold the PVC 1 inch from the gun and slowly rotate and move the PVC so the heat gun covers the length of the pipe. Continue evenly heating up the pipe until the PVC starts to sag slightly. Slide the PVC between the nails on the plywood to form the circle and hold the pipe until it cools. If you do not want to hold the pipe while it is in the form, t-straps can be used to hold the pipe against the nails. Remove the PVC from the nails, take the end caps off the ends and pour out the sand. Water can be flushed through the pipe to remove any leftover sand. Connect the two sides of the circle with a slip connector.